FREE App for your iPad! 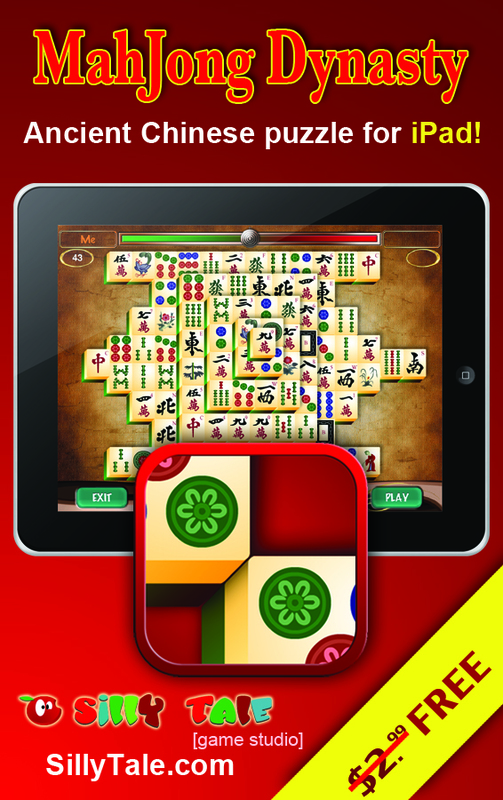 The objective of the game Mahjong Dynasty, is to eliminate all pieces from the board. Find matching pairs of images at the left and right ends of the lines at the various pyramid levels. After playing few games you, the player, will start developing a technique to play better games and eliminate more pieces from the board. The elimination of some pieces will open more possibilities than others; it is part of the fun to develop the skill to “clean” the board game. This MahJong game will tell you when no more moves are possible; this means not always is possible to eliminate all pieces from the board.